We provide a reliable minicab service for passengers who are off on their holidays. We understand that when you are going on holiday that you want a fun time and not to worry about anything. When you book your holiday you do not want any hiccups and you want it to be stress free. Well, let us provide your holiday minicab to the airport with a driver that will be courteous, polite and helpful. 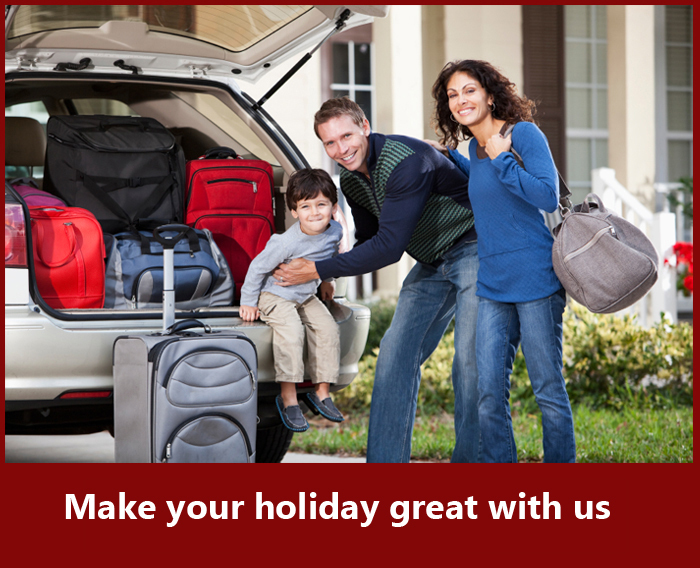 Our driver will help you with your luggage and make sure that your holiday minicab experience is a delightful one. We will provide you a holiday transfer service with a reliable and experienced driver who will make sure that your holiday will have a fun start and stress free return. We will also make sure that when you return from your holiday that our holiday minicab will be waiting for you at your airport or station of choice.